She first joined KCEN in 2018 after working as a reporter in Abilene, Texas at KTXS News for one year. During her time in Abilene she covered breaking news and severe weather, including Hurricane Harvey in 2017. 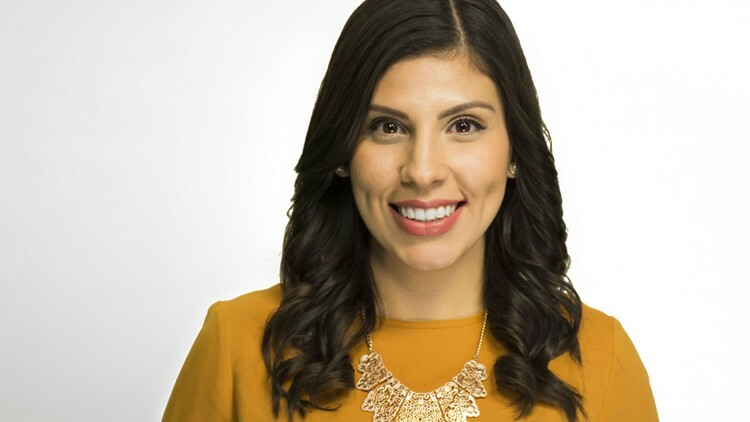 Before her first on-air job, Maria worked in Marketing at Telemundo Houston for two years while she was in college. At Telemundo, Maria produced a documentary about the stray animal population in Houston. Maria was born in Monterrey, Mexico but grew up in Houston. There she earned her bachelor’s degree in Broadcast Journalism at the University of Houston with a minor in Marketing. Maria had an interest in reporting at a very young age. In middle school she read the morning announcements every morning. In high school Maria was the morning Anchor for the school news, and in college she was a reporter for the school news as well as a writer for the school newspaper. Maria enjoys reading, listening to music, singing, photography and she loves animals. She is excited to continue her career as a journalist in Central Texas with the KCEN family. Contact Maria at maguilera@kcentv.com, follow her on Twitter @maria_aguilera and on Facebook.